No driver is immune to accidents. However, younger motorists are more prone to crashes than other age groups due to their inexperience behind the wheel. In 2013, 2,163 teens between the ages 16 and 19 died in motor-vehicle wrecks, according to the Centers for Disease Control and Prevention. And use your turn signals and headlights when appropriate. If you or your teen was injured by a negligent driver in Kentucky, contact the Troutman Law Office. Matt Troutman is a car accident lawyer in Louisville who can help you pursue the maximum settlement. Call to schedule a free case evaluation. You can also visit http://car-accident.usattorneys.com/kentucky/ to learn more about personal injury claims in Kentucky. Speeding is dangerous for drivers of all ages. It reduces the amount of time you have to react to unexpected hazards, and it can make injuries or death more likely if an accident happens. According to the CDC, 35 percent of drivers aged 15 to 20 who were involved in deadly accidents in 2012 were speeding. On average, writing a text takes 4.6 seconds of your driving attention. This may not sound like much time, but it is enough to cross a football field. Teens should place their cell phones in their glove boxes or turn them off. This will reduce the urge to check texts, answer phone calls and use social media. Most people associate distracted driving with cell phone use, but passengers can be just as distracting as sending texts and browsing social media. Rowdy passengers can distract young drivers long enough to cause serious accidents. 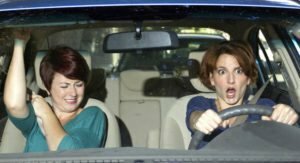 Teenagers are often overly confident in their ability to drive. They may not use turn signals to communicate with other drivers when turning and changing lanes. This can make it difficult for other motorists to predict their actions, which can lead to accidents. Headlights are equally important. Although it is easy to remember to turn on the headlights at night, inexperienced drivers often forget to use them in adverse weather. Teens should understand that headlights are essential when driving in the rain. If you were hit by a reckless driver in Kentucky, contact the Troutman Law Office. Matt Troutman is a Louisville accident attorney who can handle the legal aspects of your claim so you can focus on recovery.